Graham Douglas McKenzie , Leicestershire (1969–75), Transvaal (1979–80) and Australia (1961–71) and was a Wisden Cricketer of the Year in 1965. He succeeded Alan Davidson as Australias premier fast bowler and was in turn succeeded by Dennis Lillee, playing with both at either end of his career. McKenzie was particularly noted for his muscular physique (hence his nickname) and ability to take wickets on good batting tracks. His father Eric McKenzie and uncle Douglas McKenzie played cricket for Western Australia and Garth was chosen for the Ashes tour of England in 1961 aged only 19. He made his debut in the Second Test at Lords cricket ground, where his 5/37 (including the last three wickets in 12 balls) wrapped up the England innings to give Australia a 5 wicket victory. McKenzie grew up in a sporting family. His father, Eric McKenzie, was an opening batsman who played once for Western Australia, against the touring South African cricket team in 1931–32. His uncle, Douglas McKenzie, was a batsman who represented Western Australia on several occasions, scoring 88 in his last game against Lindsay Hassetts Services team in 1945–46. Douglas went on to become President of the Western Australian Cricket Association. Both Douglas and Eric also represented Western Australia in field hockey. In his youth, McKenzie was an all rounder, batting right-handed and bowling off spin. Aged twelve, he gained selection for Western Australia in the 1953–54 under-14 interstate competition held at Adelaide, but the team withdrew after a polio epidemic in Western Australia. The next season he captained the state when the competition was held in Perth, leading his team to the championship. McKenzie attended John Curtin High School, where he performed well with both bat and ball in the schools first XI. At sixteen he was made his first grade debut for Claremont-Cottesloe as a batsman, but after unproductive performances was dropped to the second XI. The following year in 1958–59, he continued in second grade and took up fast bowling, taking 50 wickets at an average of 14.50 after his team had a pace bowling shortage. He was recalled to the First XI in 1959–60. He finished the season with 515 runs at an average of 39.46 and 49 wickets at an average of 11.21. His efforts were rewarded in when the state selectors handed him a debut for the penultimate match of the Sheffield Shield season against Victoria in Melbourne. He went wicketless and scored 22 and 41. He took his first wickets in the final match against South Australia at Perth with 3/69. At season’s end, his captain Ken Meuleman advised McKenzie to concentrate on his fast bowling. The 1960–61 season began with McKenzie’s third first-class match, against the West Indies. He did not bowl in the first innings but took 4/41 in the second to seal a 94 run win, prompting West Indies captain Frank Worrell to predict a bright future. Further strong performances during the Shield season saw him selected at age 19 for the 1961 Ashes tour under Richie Benaud. Following an injury to Benaud, Australia replaced him with a third seamer, allowing McKenzie to make his debut in the Second Test at Lord’s during the "Battle of the Ridge". In his first innings, he made 34 on his twentieth birthday batting at number 10 on a difficult pitch. The last two wickets added 102 and Australia gained a lead of 134. In England’s second innings, McKenzie captured the prized wickets of Ted Dexter and Peter May, and took the last three wickets in twelve balls to give 5/37 on debut. Australia went on to win by five wickets. After losing the Third Test at Headingley, Australia won the fourth Test at Old Trafford with McKenzie again making a valuable contribution with the bat. With a lead of only 177 with nine wickets down in the second innings, McKenzie joined Alan Davidson. He held his end for 32 runs while Davidson’s powerful hitting saw 98 added for Australias highest tenth wicket partnership on English soil. This allowed Benaud to bowl Australia to victory on the final day. The youngest member of the touring party, McKenzie was one of eight bowlers to take at least fifty wickets. When Dexter’s Englishmen toured Australia in 1962–63, McKenzie had was promoted to share the new ball with Davidson. Playing in all five Tests, he did not trouble the batsmen to the same extent as his partner, taking 20 wickets for 30.95. He was noted for his ability to contain the opposition by bowling long spells. 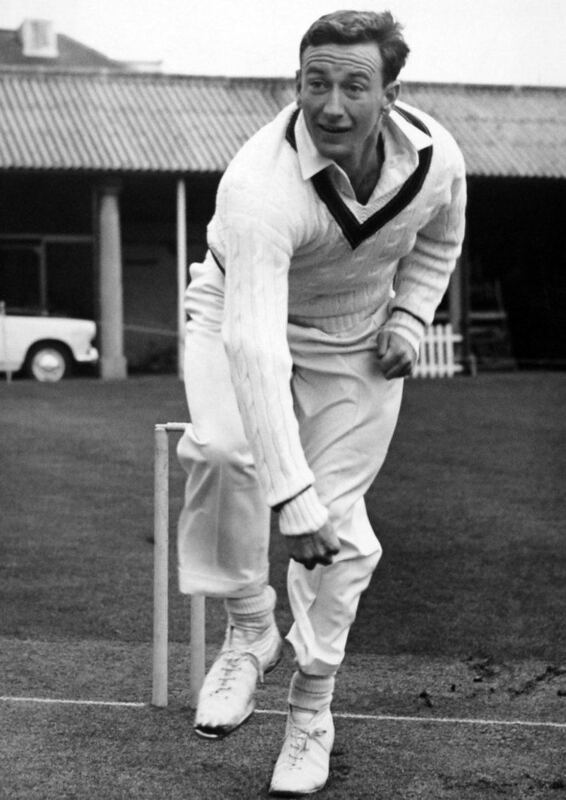 Davidson retired at the end of the series and McKenzie became the pace spearhead when South Africa toured in 1963–64. He was Australias leading bowler with 16 wickets at 43.06. In the Third Test in Sydney he hit his highest Test score of 76.